Effortlessly beautiful and a real conversation starter, Black Swan has double and semi double frilled blooms that add texture to your outside space. 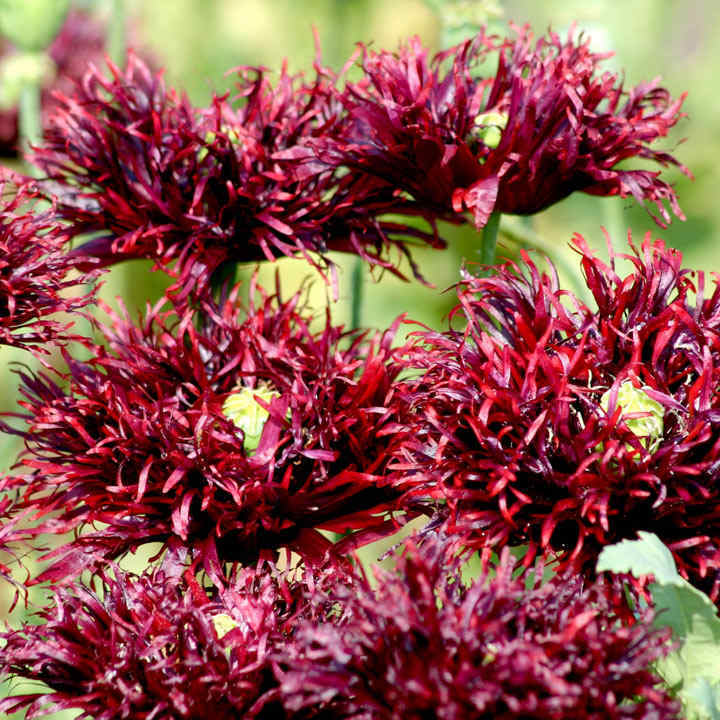 The burgundy and black flowers have finely cut petals that will dance in the breeze. 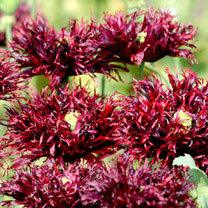 These large, double and semi-double frilled blooms have finely cut petals in dark burgundy/black. Perfect to sow direct into your garden, these 70-90cm (27-35") tall plants certainly do look impressive in the garden. Ideal to grow in an unused area, the plants add interest and height from June-September. Sow the seed thinly 3mm (¼") deep direct into finely raked, moist, warm, weed-free soil where the plants are to flower. Germination usually takes 10-14 days. As the seedlings develop, thin them gradually to achieve a final spacing of 15cm (6"), removing any competing weeds. Remove dead flower heads as they appear. Poppies will grow readily in most garden soils in a sunny position. Ideal for beds and borders. Attractive to bees. Grows well in sun or shade. Deadhead to prolong flowering, or allow seed pods to ripen if you want to harvest your own edible poppy seeds.